On Wednesday, Google teased developers and enthusiasts by officially announcing Lollipop, but chose to delay the release of anything substantial for another two days. Well, we've waited for the obligatory 48 hours, and the SDK is finally available, just in time for the weekend. (Yay?) Developers can finally abandon the interim SDK and move on to the real thing. 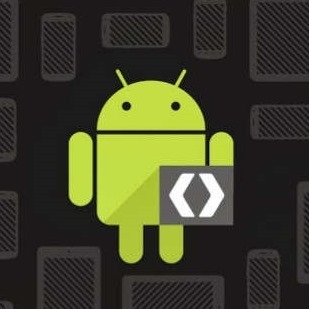 There's no more pretending 'L' counts as an API Level, Android 5.0 is officially numbered 21. For those who skipped the L Preview, it's worth taking a look at some of the more notable APIs available with this release, including the new Camera 2.0 API with its extensive performance improvements and DNG support, a JobScheduler for more efficient recurring tasks, and of course, all of the new animation capabilities intended to enable Material Design. To read up on some of the other new features, check out our initial initial coverage from June, and keep watching for additional information as we dig further into Lollipop. 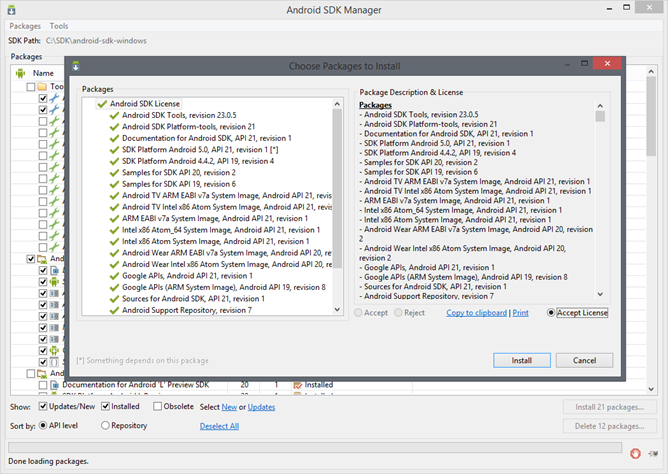 To download the latest version, first launch the Android SDK Manager. This can be done from the command line by navigating to the root folder of the SDK, then to the /tools folder, where you can then run the 'android' executable. 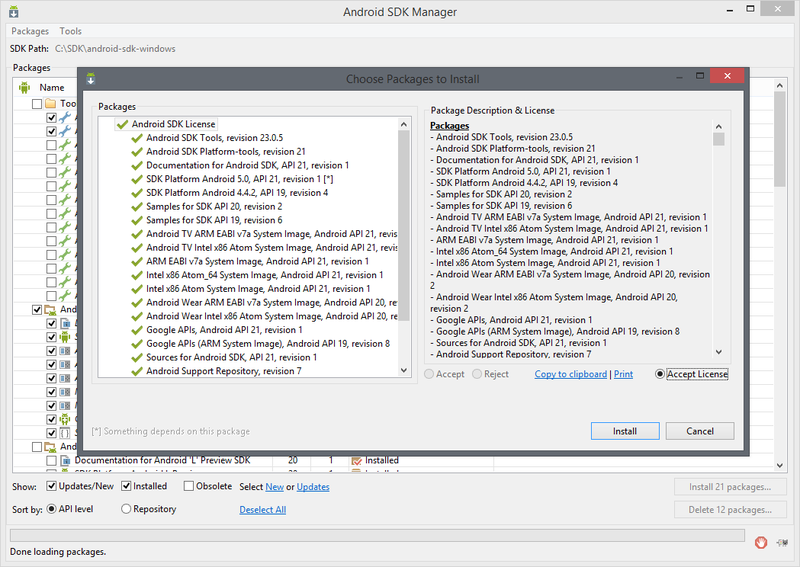 If you're running Android Studio, just go to Tools -> Android -> SDK Manager, or in Eclipse it's just Window -> Android SDK Manager. Once the list of available downloads has refreshed, just select the packages for API 21 and click on the Install packages button below. After agreeing to the standard licenses, prepare for a long wait while you and a hundred thousand other people hammer Google's servers for the next 48 hours. Take a break and go for a cup of coffee, this is going to take a while. Happy downloading, and may your code compile smoothly!